Welcome back! Did you find yesterday’s Blog Hop interesting? I do hope you enjoyed all the projects, and boy there were lots to look at! Today I am sharing the first of my projects using the April Craft Box goodies. I am loving just how quickly you can put a card together without the need to get any stamps inky, but still have a great sentiment on the outside and the indide of your card. 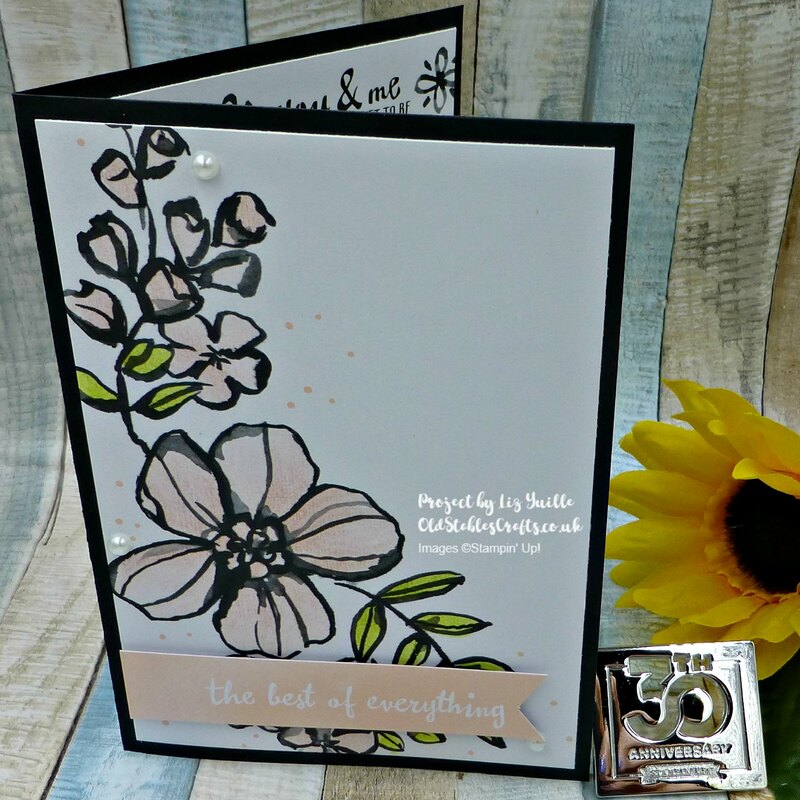 I used the Blender Pen with Powder Pink and Lemon Lime Twist to colour the floral image. I love how you can get some shading with the Blender Pen, just by not over inking it. I cut both the floral card and the card I used for the inside, down to my usual measurements (see below for those) and glued them to a standard A6 Basic Black Cardbase. I trimmed out the sentiment from one of the smaller cards, saving the other piece for another project. I ‘flagged’ the end of the sentiment and then adhered it towards the bottom of the card with some dimensionals, added a few Pearls and the card was done. Really quick, really easy!